Its been a busy time here at the studio and we’ve had some wonderful people to photograph. Here are just a few. Starting from the top, this is 10 week old Ben, who came in for his first portrait shoot. Babies feet always look so gorgeous in shots! Next up is Rosa (4) and Ruby (2). 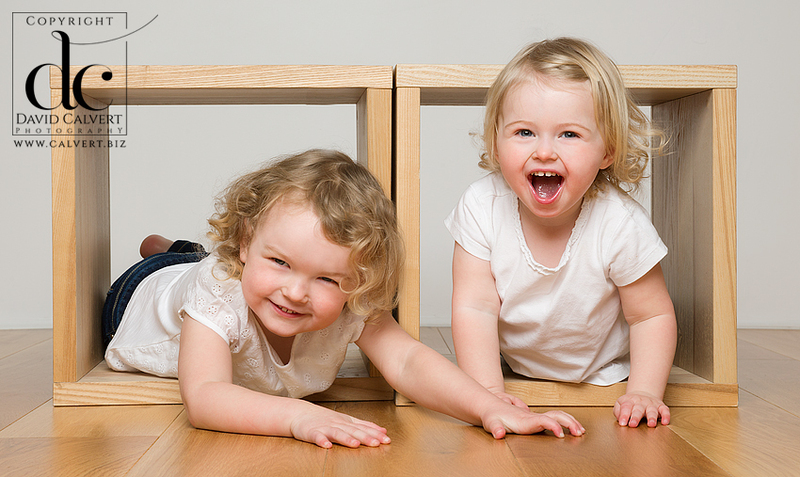 It was a great, lively shoot and they particularly loved playing with these boxes. Then we have Rhoslyn, Catrin and their mum Susie having a bundle together. I really like the spirit (and the colours) in this shot. Finally, we have the very beautiful Rose. I just love her angelic smile! 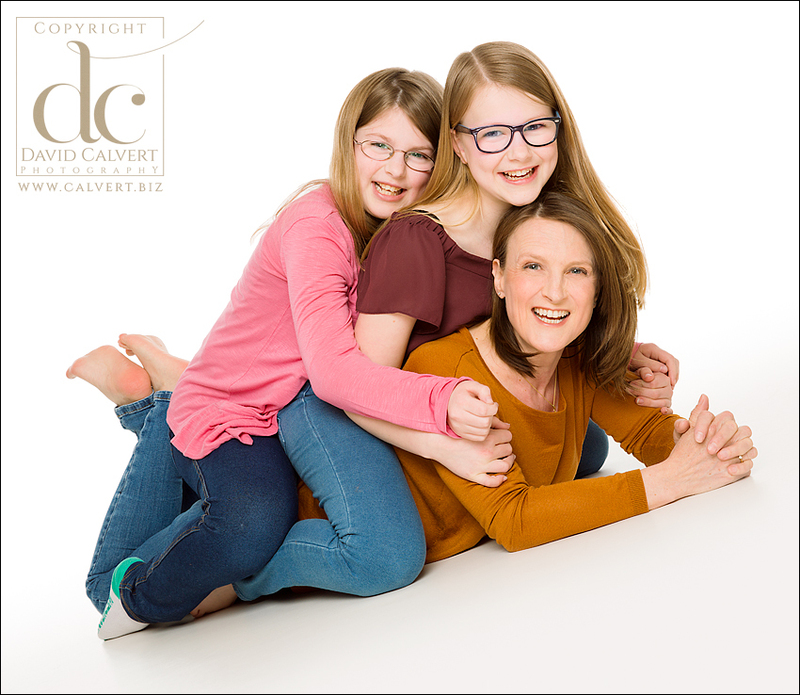 To book your family portrait shoot with an award winning Hertfordshire photographer based near Bishop’s Stortford, Ware and Hertford, call David now on 01279 843050. To view more of our family portraits, visit our main website here.